December 16, 1961. A Company of the 36th Battalion of the Irish Defence Forces move to retake a strategic supply route into the town of Elizabethville in Congo. The battle of the tunnel followed with fierce fighting between A Company and a coalition of soldiers for hire and Katangese Gendarmerie. 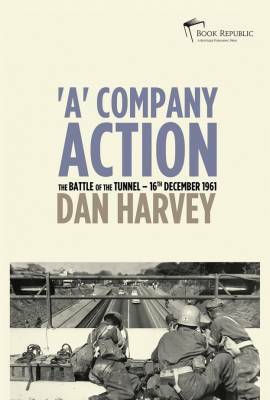 A Company Action is the definitive account of that battle which saw 14 members of the unit receive the Irish Defence Forces Distinguished Services Medal, two of them posthumously.